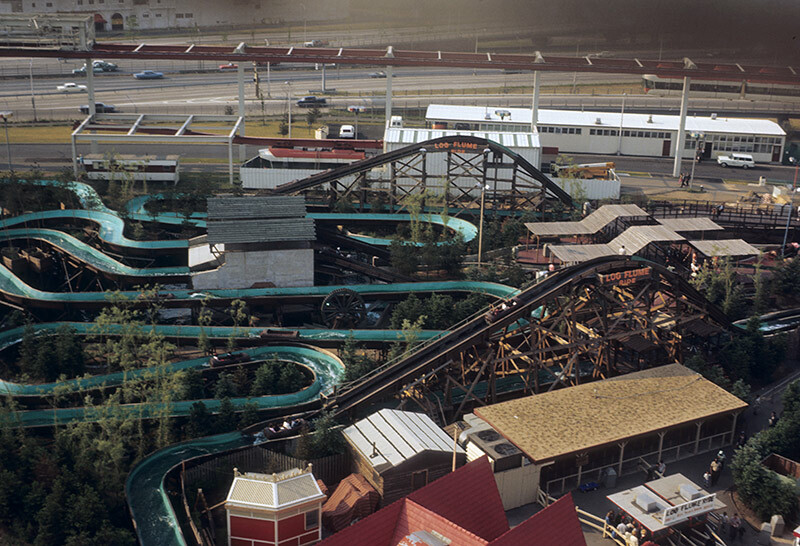 1) The Log Flume was a LONG ride! That's quite a serious layout. 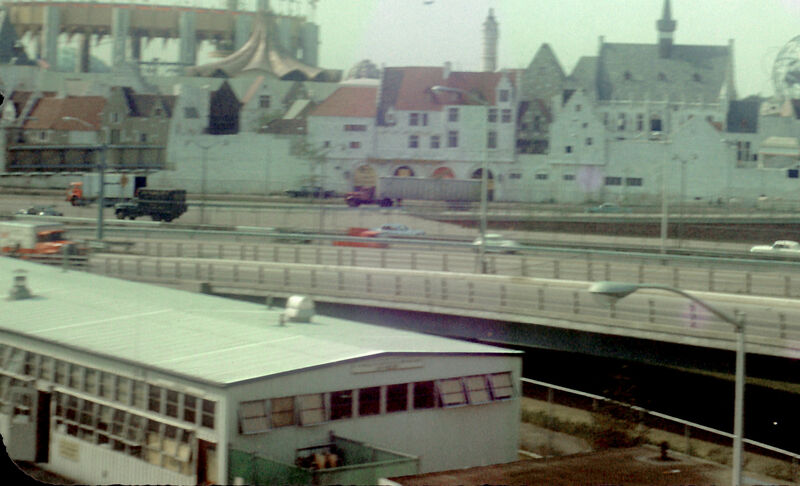 2) The AMF Monorail maintenance building is just behind the Log Flume. One car is in the service area. 3) The long white building in the background is Police Precinct No. 2. I don't recall any good shots of that building in the past. I wonder what the Log Flume's profit status was by the end of the fair. How much of the structure, if any, was reusable and how much demolished? I know part of it went to the Pirate's World theme park in Florida. I'm curious about the red A-Frame looking roofs in the foreground. On the Official Map the structure appears directly behind Les Poupees de Paris and Dancing Waters. Was it part of one or the other pavilion? Or neither? BTW, glad I wasn't around when they asked for volunteers to lift the repaired car back onto the overhead track! Must have taken six Yankees fans and a gorilla to do the job. I believe that was a hot dog restaurant. I think this might be the left end of the building, looking the same direction as your photo (but down on the ground). 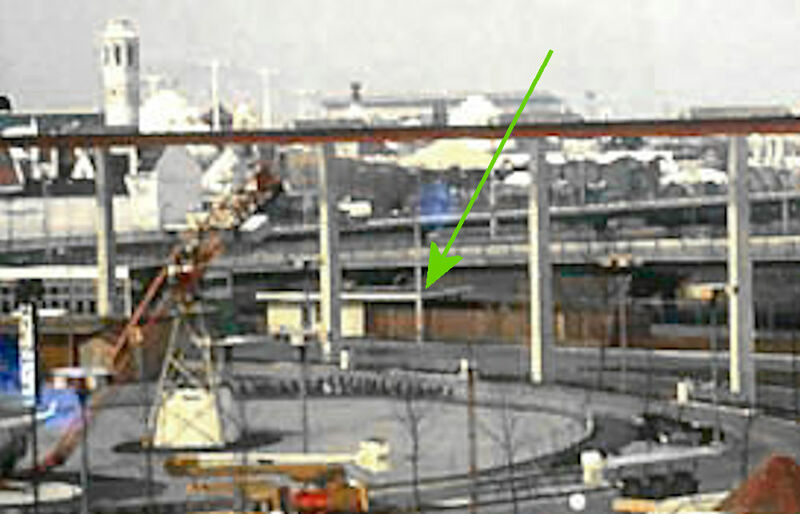 The RIGHT end of the building was the "lost child" holding area with snacks, games and pictures to color, and a small fenced-in playground. I know I have a picture or two of that.... just gotta find them. The lost kid holding area might have actually been this building just to the right of your fire & police building. 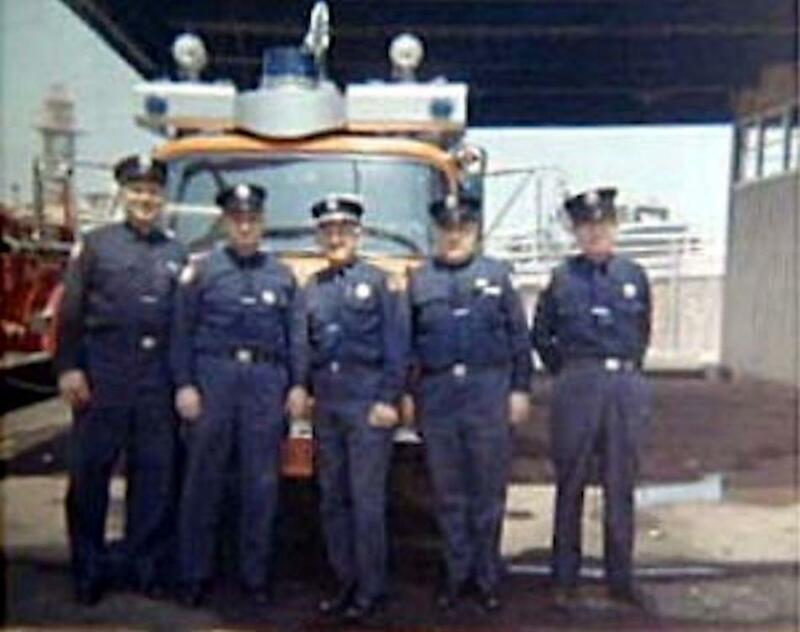 Thanks - now we know where they kept one of the fire trucks. They kept the Vista Cruiser station wagon there too.